Whether you’re hosting a dinner party or a family reunion, you, of course, want to ensure your guests are having a good time. With a top-notch home audio video system, you can entertain your family and friends in any part of your house – even the outdoors! Your whole property becomes the perfect avenue for any get-together you may have. Read on below to see how these audio video features can elevate your living space anywhere in San Antonio or Texas Hill Country. Your guests might be laughing over dinner, talking in the media room, or hanging outside on the backyard patio; no matter where they are, you can play music for them. Our multi-room audio systems give you full coverage of your home, and make it easy to pull up your favorite music sources at the press of a button. Easily create an ambiance that encourages conversation and makes a welcoming environment for everyone. Choose songs from your own playlists and music library, or use streaming services like Pandora or Spotify. With virtually endless songs available to you, you have access to any genre or album a guest wants to hear. Take any song request, and no matter which room someone walks into – the tunes will follow. Just as you can play any song to entertain both family and friends, you can also play any media on your Ultra HD 4K screens too. 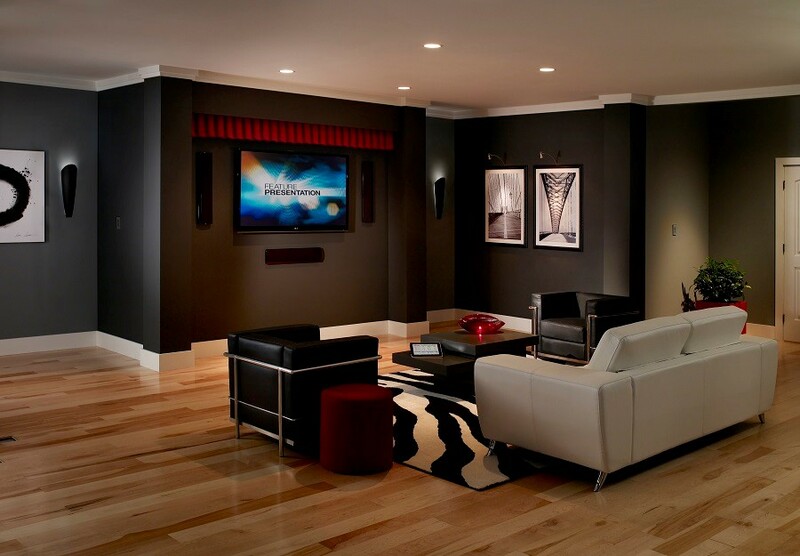 In any room you’ve installed a projector or flat screen, easily turn on your favorite TV shows and films. Any night can be a movie night or a TV show marathon with pre-set scenes that adjust lights, climate, and more. Even take the fun outside with weather-proof displays and anti-glare screens, so that the rain or shine won’t intrude on your entertainment. Are you having everyone over for the big game? Host a tailgate and never miss a single play by setting up multiple screens throughout your home. The possibilities are infinite. Smart technology doesn’t have to be too complicated to operate and use on the daily. Utilizing your AV features should be stress-free, always! Your audio video system will mesh flawlessly with the rest of your home’s automated features and even with your existing décor. Use just one centralized source to control everything. With a tablet, remote, or wall panel, anyone visiting can use your system with ease as well. Then, while everyone might be preoccupied, use your own smartphone to change channels or adjust volume. It’s as simple as pulling your phone out and pressing a single button to manage all your audio and video features. All the control is in your hands. Want to learn more about a home audio video system and how it can enhance every party you host from here on out? Give us a call or fill out our online contact form to schedule a no-obligation consultation with our team! We’d love to hear from you.